Someone Bought This: World Wide Cheesehead Championship Belt - WrestleCrap - The Very Worst of Pro Wrestling! Being “The Big Cheese” Paul Kraft you’d better believe that I know cheese when I see it. I mean that both figuratively, and literally with this World Wide Cheesehead Championship Belt I found! It’s made by a company called Foamation. 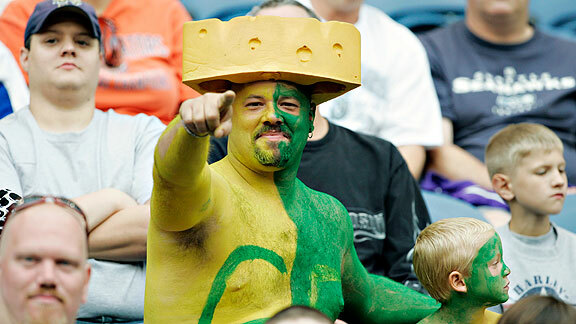 They make those Cheesehead cheese wedge hats you see at Green Bay Packers games. I guess it would be useful if you’re an indy wrestler with a giant rat/football fan combo gimmick (?) but beyond that, I’m not entirely sure what useful purpose it could serve. 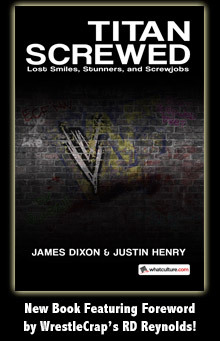 Maybe you could bring it to a house show or TV event in Wisconsin! That would sure get you noticed! Can you imagine Ric Flair cutting a heel promo wearing this thing? Check out their site, because they sell an incredibly wide variety of cheese-related foam novelty items. I’m sure you’ll find something to buy for yourself or as a gag gift for someone you love (or hate). 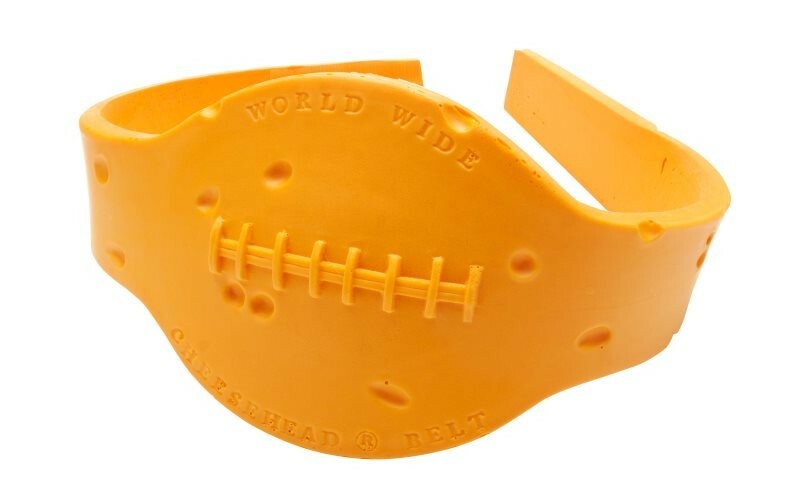 22 Responses to "Someone Bought This: World Wide Cheesehead Championship Belt"
Not nearly as cool as the Nathan’s Hot Dog Competition belt or the McDonalds championships ive seen, but I guess this could have been used after Mr Anderson won the “Immortal” belt from Jeff Hardy a few years ago. If only Head Cheese would have been given a run with the Tag Team Titles. Probably the only title Mr. Anderson will be competing for anytime soon, but even then this title only goes to someone who really hones their Kraft. BOO! HISS! *tosses a tomato at you*. Not really. But it seemed a little forced, like you were just waiting for an opportunity to wedge that joke in sideways. Very good, sir but I can see “holes” in your argument. Paul, you’ve created a muenster! I think the real problem here is that we have a whole subculture devoted to wearing cheese wedges on their heads and painting themselves yellow and green. Yet somebody who, oh, I don’t know, likes to spike their hair or wear flashy outfits are the “weird” ones.